Officials from the NFL and members of the Oakland Raiders have a meeting scheduled with an Oakland based investment group for further discussions on keeping the Raiders right where they are. 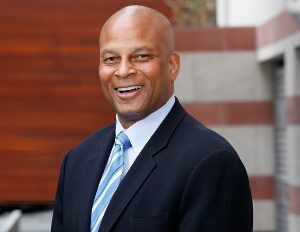 The investment group is headlined by the Lott Group, aptly named after Hall of Fame cornerback and Ex-Los Angeles Raider, Ronnie Lott. Interesting how a hero who made his name playing for the Raiders outside of Oakland wants them to now stay put. This comes in the run up to the council in Oakland voting on a proposed term sheet for a $1.3billion dollar stadium, an agreement which would put the Oakland area in a strong position to retain the team if it should pass. A day after this vote is scheduled, an NFL meeting is taking place in Dallas to address the issue. The term sheet from developers outlines the Ronnie Lott group would contribute $400million to the new stadium, but Oakland Mayor Libby Schaaf has previously stated that there will be no taxes used to raise money for the new stadium (which is understandable after they are still paying off the current one!). So that begs the question- where is the money going to come from for the stadium in Oakland? The Vegas Raiders have all but financed their new $1.7 billion stadium already, with $750million agreed to be used from public funding and Casino magnate Sheldon Adelson also committing $650million, whilst the remaining $300million would likely come from both the Raiders and the NFL themselves. Money talks, and right now its screaming Las Vegas. Next Next post: Oakland too little, too late?